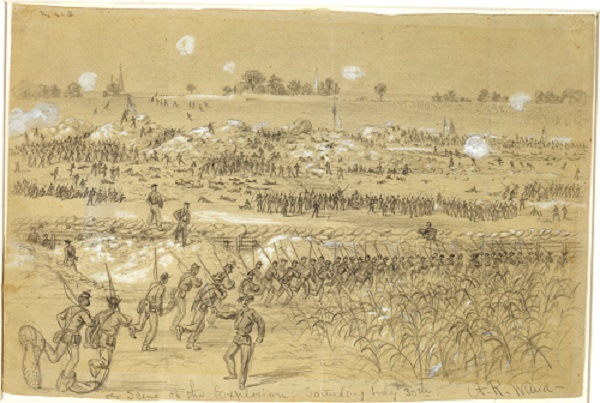 Blog Articles | Nau Center for Civil War History, U.Va. On July 30, 1864, the Union army exploded a mine to expose a breach in Confederate lines at Petersburg in the hope of breaking the stalemate and ending the siege. The ensuing assault, which became known as the battle of the Crater, resulted in a Union failure and thousands of casualties in the worst racial massacre of the war. The black troops of the United States Colored Troops (USCT) faced much greater danger at the Crater than their white Union counterparts. Of the six Albemarle-born men who joined the Union navy during the Civil War, no one left behind a larger paper trail than Alexander Caine. 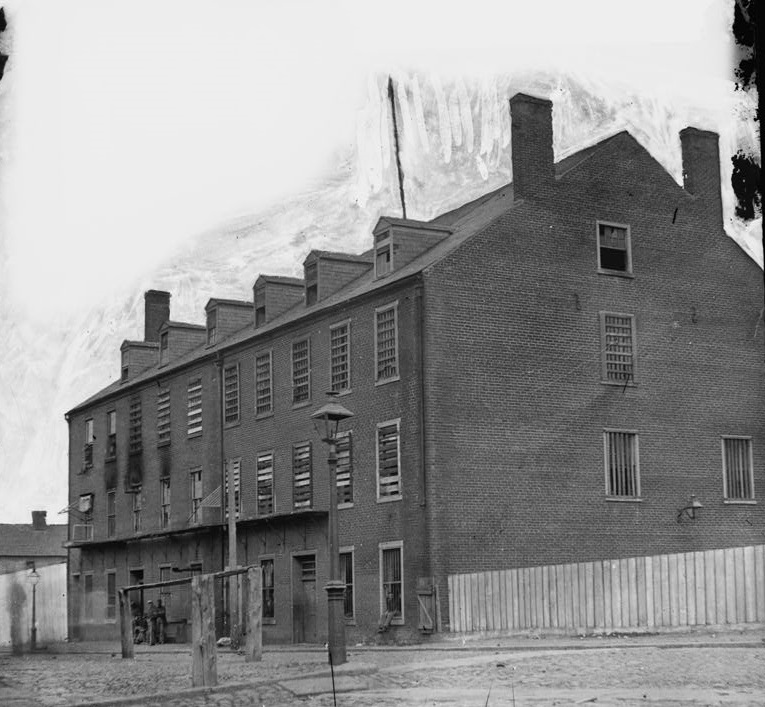 Caine, a barber living as a freeman in Philadelphia at the war’s outbreak, joined the Union navy in 1862 as a landsman and served on an ocean-going sloop called the U.S.S. St. Louis off the coast of West Africa. Even after leaving the navy in February 1865, Caine quickly signed up for another tour of duty, traveling to every major port in Europe and the Mediterranean. During a short-term fellowship generously provided by the John L. Nau III Center for Civil War History at the University of Virginia, I found primary sources at the Albert and Shirley Small Special Collections Library to contextualize my dissertation research on black Union soldiers’ experiences as prisoners of war (POWs) in the Confederacy. UVA’s Special Collections houses countless documents that provide insights into the nature of American enslavement through to the end of the Civil War, particularly in Virginia and the Upper South. Marion Goss and William H. Gillum’s friendship arose through surprising circumstances, given that Gillum had served in the Confederate army. Born on November 22, 1847, in Augusta County, Virginia, Gillum was the son of Dr. Pleasant G. Gillum, another UVA School of Medicine alumnus. 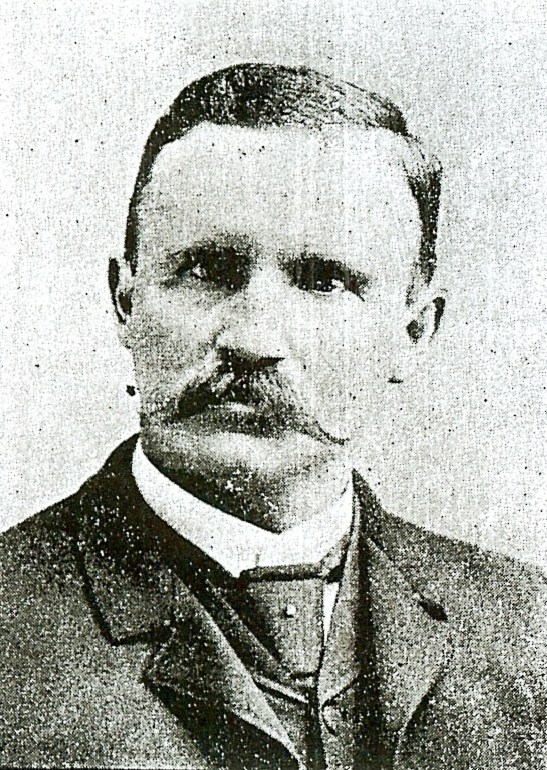 William H. Gillum’s grandfather was a successful planter and an early settler of Albemarle County. Exactly one day before Jacob D. Mater enlisted in the 149th Indiana, Gillum enlisted in the Staunton Artillery of the Confederate army on January 24, 1865. Gillum was present at Robert E.
While many of our UVA Unionists attended the University before the war, very few enrolled after their service. 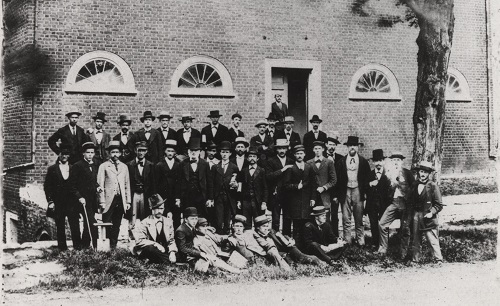 In 1869, two young men from Parke County, Indiana, travelled hundreds of miles south to enroll in the University of Virginia School of Medicine. As veterans of the 149th Regiment, Indiana Volunteer Infantry, Marion Goss and Joseph Noble starkly contrasted with the typical UVA student profile. At the time, the vast majority of the faculty and student population maintained ardent pro-Confederate views, and many had served in the Confederate army.